John S. Sargent. R.A., who was born in Florence Jan.12. 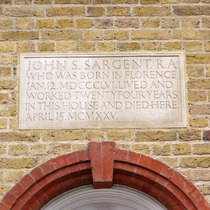 MDCCCLVI., lived and worked twentyfour years in this house and died here. April 15. MCMXXV. 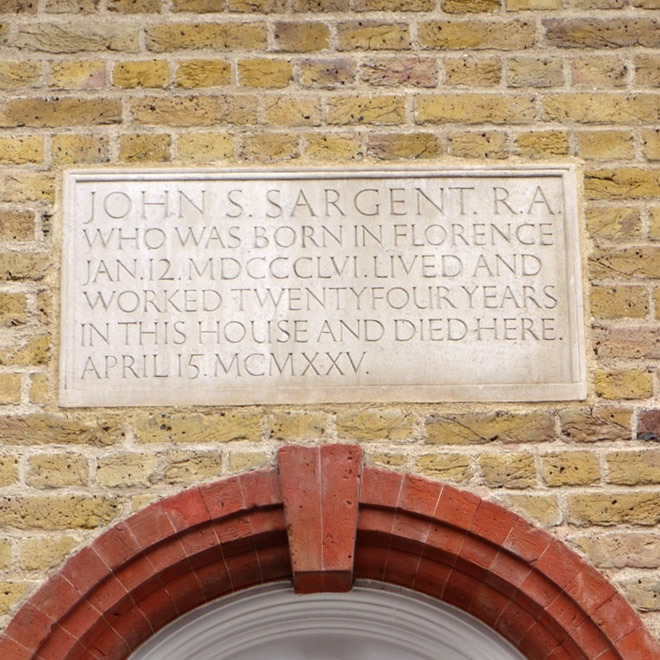 Sargent travelled a lot between USA, England and Europe but settled in London in 1886 initially at (what is now) 33 Tite Street, extending into the house next door, no 31, in 1900.